The Agenda for the April 24th Regular Meeting of the LIHD Board of Commissioners has been posted. The March 27th Regular Meeting Documents have been posted. The Lopez Island Hospital District, Lopez Island Fire and EMS (LIFE), and other County-wide leaders are continuing to work with Kaiser Permanente to resolve questions related to coverage for emergency medical air transport. As a consumer, if you experience a denial from your insurance company for any covered service, it’s a good idea to contact the Office of the Insurance Commissioner for WA State (OIC). The Insurance Commissioner’s office answers hundreds of insurance questions every day, and you can easily file a complaint against your insurance company on their website. You can also call the toll-free Insurance Consumer Hotline at 800-562-6900. Send your complaint to the insurance company and require them to provide an explanation for their actions. Send your complaint to the Washington Healthplanfinder and ask them to resolve your concerns. Review the company’s response to make sure they followed Washington state laws and your policy. Tell the company to fix the problem if they didn’t follow the laws or your policy. Try to find patterns of problems that may need further reviewing. Try to help fix your insurance problem or help you and the company communicate with one another. Help you understand your insurance policy. Recommend places you can go for help if we don’t have the legal right to resolve your complaint. Act as your lawyer, give you legal advice or be your claims adjuster. Make medical judgments or determine if further treatment is necessary. Make liability decisions or determine who is at fault. Establish the facts surrounding a claim (for example: who is being truthful when there are conflicting reports of the situation). Determine the cause of loss, value of a claim, the amount owed to you, or act as your adjuster. Address issues we can’t legally enforce. Require the Washington Healthplanfinder to comply with state insurance laws as it’s not an insurance company regulated by our office. Tell a company to pay a claim, refund a premium, or reinstate or issue a policy (if they followed the law and your policy). By now, most Lopezians have heard or read about a number of denials from Kaiser Permanente associated with medical air transport by either Airlift Northwest or Island Air. The situation has impacted residents throughout the County and is part of what’s emerging as a national trend to more closely monitor the necessity of emergency air transport. As is the case with many issues related to the delivery of health care, we are very different here in San Juan County and emergency air transport is an essential component of care delivery for islanders. The LIHD Superintendent learned about this emerging situation soon after the start of the year and reached out to Kaiser to better understand what was happening. Over the past two months, Superintendent Presson has been working very closely with Lopez Island Fire & EMS Chief Havner, Lopez Island County Council Member Jamie Stephens, the San Juan County EMS Medical Director, and various other leaders throughout the County. In addition, Superintendent Presson and Chief Havner have been working with the Board of Health to pursue a remedy, as the Board became very concerned with the implications on public health should this trend continue. There was a very informative discussion at the February 20th Board of Health meeting, which included representatives from both Airlift Northwest and Island Air. Click on the Board of Health meetings to access their videos. At this time, the physician leadership from the County and Kaiser Permanente are scheduled to meet in the coming week. Their discussion will include a review of the cases in question as well as the processes in place that ensure every medical air transport in the County is at the direction of an emergency medical professional. The LIHD continues to closely monitor the situation and will provide updates as they become available. For anyone who has experienced an air transport denial, both air operators have customer service representatives to assist you. Please contact either Airlift Northwest at 866-245-4373, or Island Air at 360-378-2376. In addition, Lopezians are encouraged to contact Lopez Fire & EMS for assistance. The Agenda for the February 27th Regular meeting of the Board of Commissioners has been posted. We paid off the CWMA loan. We paid off the San Juan county loan. We fully initiated the Islanders Bank GO Loan which was taken later in the year than originally planned which minimized our 2018 interest payments as well as taking a principal amount that was less than what we originally negotiated. This will lower our debt financial burden and the resulting Cash Flows in years to come. By agreement of the Board we initiated a Reserve Fund that we will start to put monies into in 2019. We had a State of Washington Audit and we came out with an excellent outcome. During the year we made payments to Lopez Island Physical Therapy which included an accelerated payment schedule to help them with the start-up of this business. We made our contractual payments to UW Neighborhood Clinic (UWNC), the payment schedule was renegotiated to semi – annual payments from quarterly which helped very much with our cash flow and the times of influx of monies to the district from property tax revenues. Our next payment will occur approximately in May 2019 based the July thru Dec. 2018 financial report. Overall we ended 2018 in very good financial shape. Looking ahead we need to start thinking about a future contract with UW. Current contract expires 3 years from the commencement date of Sept. 25, 2017, that is Sept. 25, 2020, with an automatic renewal for an additional three years. If UWNC wanted to terminate for convenience they can do this at any time with one year notice, thus if they wanted not to go past 9/25/2020 (which has an automatic 3 year renewal) they would need to inform us on 9/25/2019 – thus we need to start to consider this in the coming year. 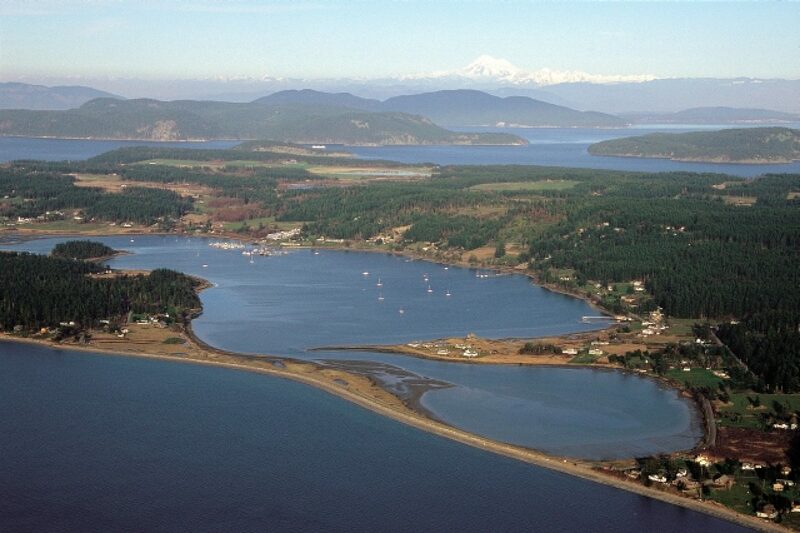 The Agenda for the January 23rd Regular meeting of the Lopez Island Hospital District is now posted. The Agenda for the December 13th meeting of the Board of Commissioners has been posted. The Board of Commissioners is excited to have recently launched Health Matters 2.0 in collaboration with CWMA and UW Medicine Lopez Island Clinic. We are all committed to continuing to deliver timely and relevant information related to health care on Lopez Island that Lopezians came to enjoy from Health Matters for over 25 years. You can click on the link here to find the first issue of Health Matters 2.0, which was also published in the October 30th edition of the Islands’ Weekly. We look forward to hearing from the community and encourage people to share their thoughts and opinions. Our intent is to include information from all who support the delivery of health care on the island, and we will be providing more details on this exciting new venture in early 2019. Thursday, November 8, 2018 at 5:30 p.m.
the 2019 Preliminary Budget and Levy. The LIHD Board of Commissioners will take public testimony and consider adoption of Resolutions confirming the 2019 Budget and Levy Amounts. The documents that will be reviewed during the hearings include the 2019 Budget Spread Sheet, 2019 Levy Ordinance/Resolution and the 2019 Levy Certification. To see a Google calendar of meetings and events, go to the Calendar page. Note: Office is open three days per week. Please check Calendar for days and times.